We are specialists in all types of Profile products and Office solutions made of paper, cardboard and plastic. Such as ring binders, folders, covers, mousepads, boxes, presentation pockets, magnetic pockets and much more. At Probeco we have many standard products, but it is far from enough to satisfy everyone’s needs. Therefore, we have made it our mission to customize / modify our products so that they fit your exact needs. then you can either call us or complete the form. We take the calls weekdays 8:00 to 4:00 p.m..
Creative solutions are products such as ring binders, folders, boxes, tabs, sleeves, signs, pockets, etc. Custom-made profile products, which matches your needs and wishes. Design is not just a matter of appearance. In order to build an ergonomically correct workstation, it also requires that it is practical and functional. With our range of display systems, you always have your most used documents at your fingertips. Display systems ensure an efficient and ergonomically correct workstation! Office solutions consists of environmentally friendly adhesive, magnetic and lamination solutions for presentation, storage and archiving. 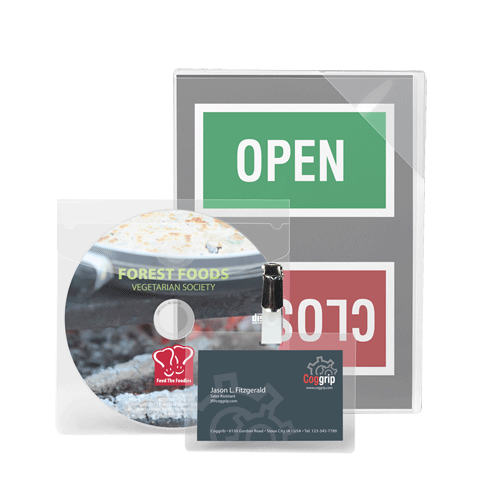 Permanent and repositionable presentation pockets, business card pockets CD/DVD pockets, label holders and more. Magnetic pockets in A-formats and magnetic business card pockets. Assortment of self-laminating products, where you don’t need a machine. Items for e.g. spiralization, riveting, fans and much more in graphic finishing. Probeco has developed and produced office products since 2003. 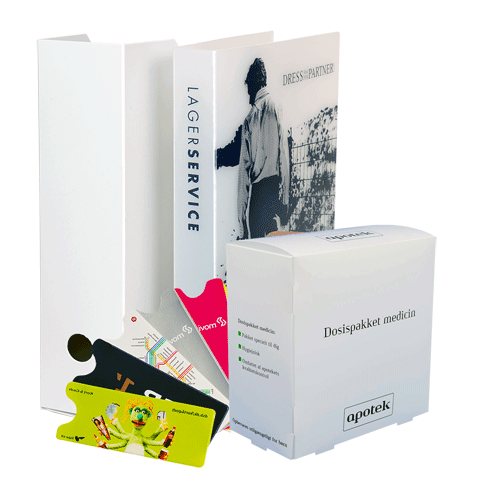 The production of graphic profile products and adhesive filing and presentation products was originally started in 1997 in our company Berg & Co. Since 2003, the production of self-adhesive filing and presentation products has been produced, sold and marketed by Probeco A/S, which was established this year. In 2008 Probeco A/S bought the company HD-Design, supplier of the recognized display systems. HD-Design was for years known as the most focused and innovative manufacturer of display systems – a focus we have maintained and expanded since. 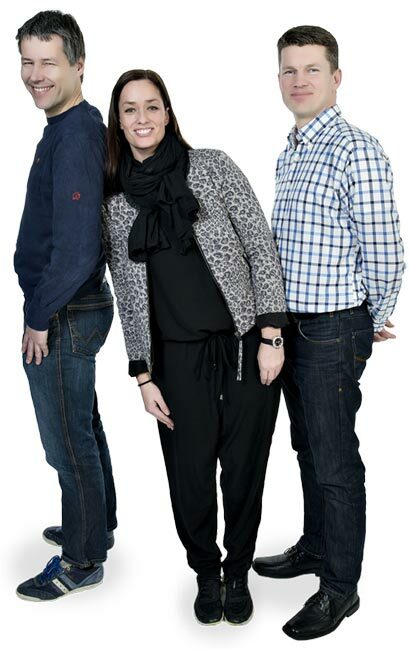 At the end of 2010 Probeco A/S becomes a part of T3L Group (www.t3lgroup.com). Apart from Probeco, T3L Group consists of 3L Office Products A / S, Denmark and Tarifold SAS, France. In 2013, Probeco A/S takes over the bankrupt Due Plast. The company was started up again and a large part of the employees rehired in Probeco A/S, while we move the administration to Bornholmsvej 2 in Løgstør. In 2014 Probeco A/S takes over all activities in Johnsen Plast A/S, which has produced plastic in soft foil of PP and PVC, since 1970. Hereby expanding Probeco A/S production machinery and know-how in plastic production further, there are now more than 70 people employed by the company. Probeco becomes a part of T3L Group. Probeco acquires Johnsen Plast A/S.